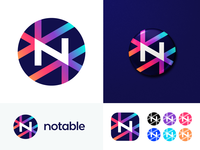 Here is one more logo concept I'm exploring for Notable, a stealth news startup. 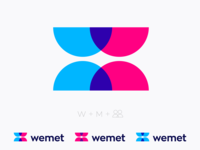 This is a simple geometric concept that combine N letter and connectivity, reflecting trust and support that is very important for a News platform. Have you seen something similar done before? Any feedback is welcome as always!